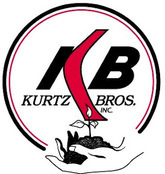 Kurtz BROS Inc is a pioneer company in the caring of environment and natural resources. The company provides recycling services and landscaping materials to homeowners and landscape professionals in Ohio. The company makes use of specialized equipment in the resource management field to produce high quality compost, mulches and top soils for use in garden and yards. The company also specializes in water garden products, paver patios and stone walls, and fertilizers. The origin of Kurtz BROS Inc can be traced back to 1948 when Mel Kurtz started selling topsoil. Today, the company has grown into a leading supplier of landscaping materials. There are currently 0 consumer reviews about Kurtz BROS Inc available. Share your review. Please take a note that you are about to post a public review about Kurtz BROS Inc corporate office on CorporateOffice.com. This review will be public, so please do not post any of your personal information on this website. If you would like to contact the corporate offices of Kurtz BROS Inc, please use their contact information such as their phone number, website, and address listed above to contact them. However, sometimes staff from Kurtz BROS Inc headquarters do read the reviews on this website.